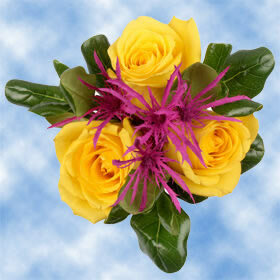 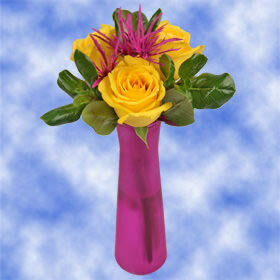 Color tones for all Yellow Roses and Dark Pink Eryngiums with Greens Centerpieces may vary due to the computer monitor and/or Mother Nature. 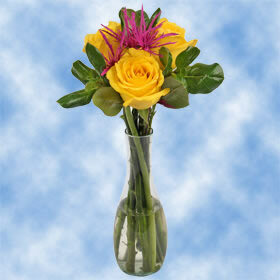 Each centerpiece is a superb arrangement of 6 flowers. 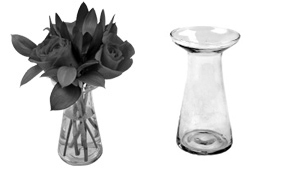 Vase not included. 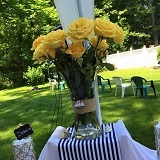 Each box comes with 8 stunning centerpieces and each arrangement contains; 3 stems of Yellow Roses, 1 stem of Tinted Dark Pink Eryngium and 2 stems of Green Pittosporums. 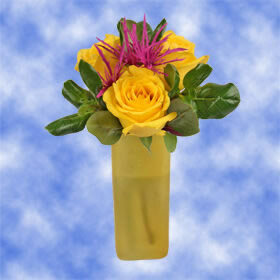 Selena Bud Vase: 7 1/2"
• Box Dimensions: 10"x 4.75"x 34"
These captivating yellow roses wedding centrepieces, signify a lifetime of love. 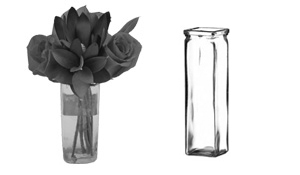 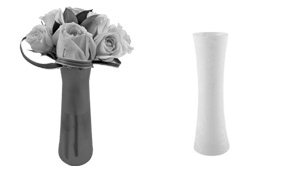 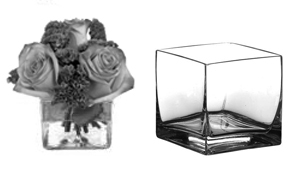 Most wedding centerpieces should use a vase that measures 3"" to 8"" inches in height with an opening of 2"" to 4"" inches wide. 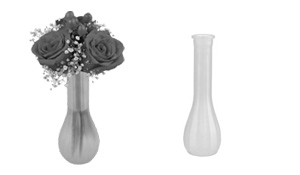 You may adjust the distance across the flowers by tying the bouquet in the center or allowing it to stand on its own in the vase depending on the look you want. 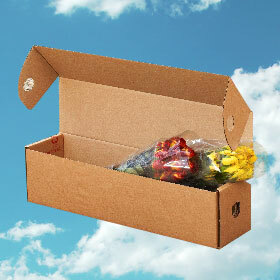 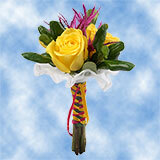 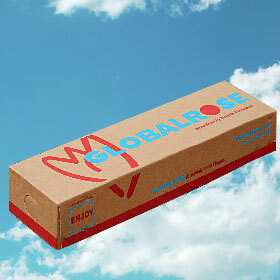 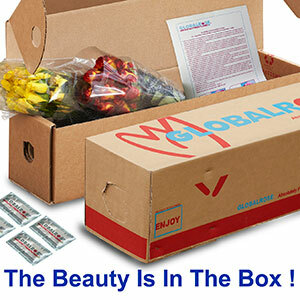 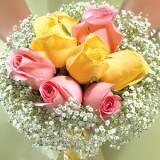 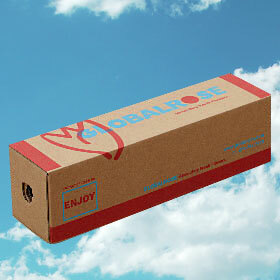 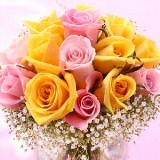 In all wedding/or special occasion, please order your flowers at least 10 days before the delivery date. 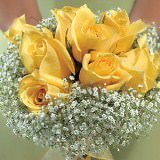 Your wedding flowers and wedding roses are shipped absolutely fresh, direct from the greenhouses to you via FedEx or UPS. 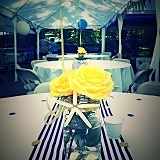 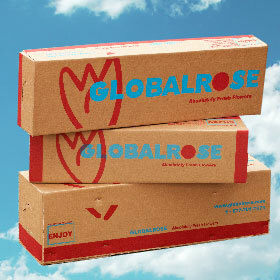 Center pieces created using Global Rose roses! 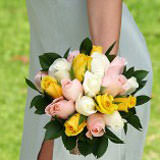 Absolutely love and will be ordering from again for my wedding!